I have just received a double treat this Christmas. 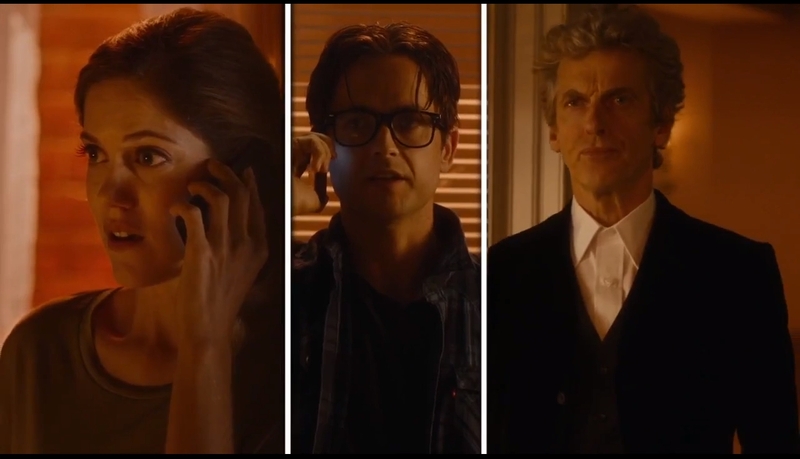 I was eager to see the Doctor coming back on the screens. It was a long wait for all Doctor Who fans. And what a season start it was. Not only we were able to see Peter Capaldi doing a great job as the Doctor Mysterio, but Pentel Energel appeared on the screen as well. 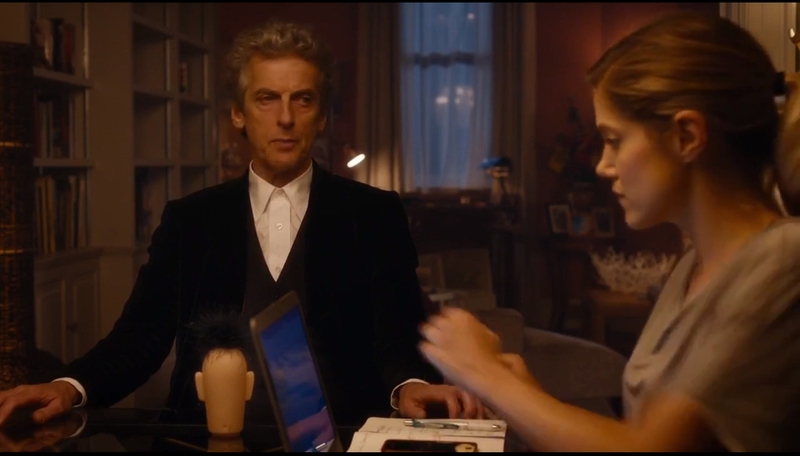 In the episode, the return of the Doctor Mysterio, the 2016 Christmas Doctor Who Special, the Doctor makes a superhero by mistake. A Superman. Grant a small boy ingests by mistake a gemstone given by the Doctor and becomes G, from Ghost. Of course, every Superman has its Luis Lane, and this one is no exception. Well a version of her. A journalist that Grant loves in secret, Lucy Fletcher. It is hard to see as the pen is not the main focus of the scene. 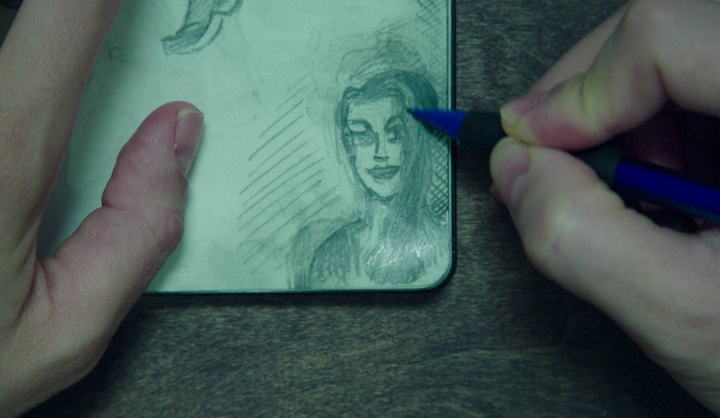 It seems that the Pentel is a popular pen, as it was spotted on an episode of Better Call Saul as well. Recently I have been interested in board games. 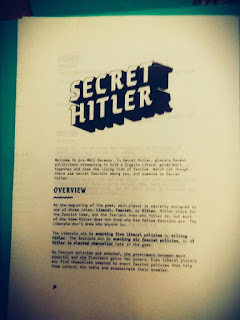 I have posted a DIY very fun and addicting party deception game, Secret Hitler. But I wanted a shorter game, fun and on the cheap side. I have found 3 great games. 2 of them are card games, Coup and Get bit. 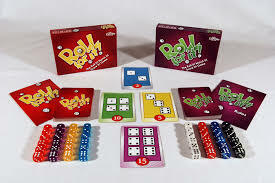 And the last of the 3 is a dice rolling game Roll for it. Of course, there are other great fun short card games, like Munchkin, Exploding kittens, Saboteur, and the list can go on. But I was interested in finding a game that can be played with a standard deck of cards or with minimum cost. Coup is a poker like game with a lot of bluffing about the cards you have in your hands. 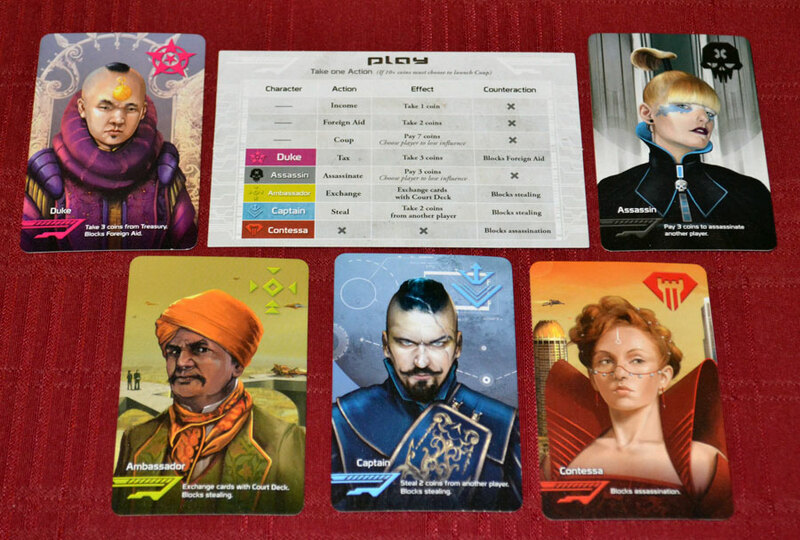 The deck is composed of 15 cards 5 characters. Each character appears 3 times in the deck. I use an ace, jack, queen, king, and joker. Up to 6 players can play. If you would use a second deck 10 12 players could play. Each of the characters has an ability, but nothing stops you lying about what you hold in your hand. Another fun game is Get Bit. The original game comes with a different color suit of cards, a plastic shark, and plastic robots that have detachable arms, legs and heads. The concept is very simple. Each player puts a card face down on the table. 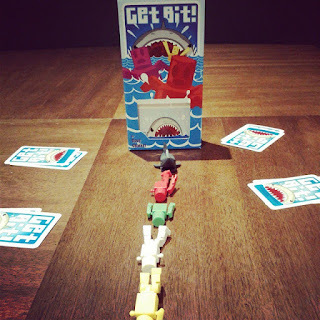 The player that has the smallest number card is put last in line (closest to the shark) and the player with the highest number card gets to be the first in line. The players that are putting down the same number card do not move in line. The last robot in line gets bit by the shark and loses an arm or leg. When you have nothing more to lose you are out of the game. Because the traditional pack of cards does not come with a shark or robots you will have to improvise. 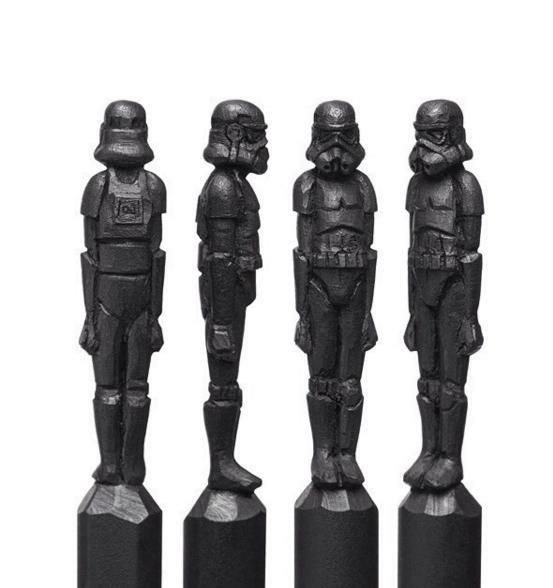 Either get some Lego figures or use a pen and paper. With a deck of cards, 4 players can play. If you have 2 different (non-similar) deck of cards up to 8 players would be able to play. In a 5 player game, each one will receive 6 cards. (number of cards dealt is number of players + 1). If you do not have the figures you will deal an extra card to each player, for example, the king, which will be face up on the table, instead of the robots. You will use this card to establish which player is closest to the shark. When a robot is last and loses a part he will receive the previously played cards. To get a better feel of the games you can look up some youtube playing mechanics. Or you can install the app. At least for Roll for it and Coup the apps are free. I have been looking for this mechanical pencil for some time. I recently found it in a local shop and bought it for the equivalent of 2.21 € or 2.41 $. 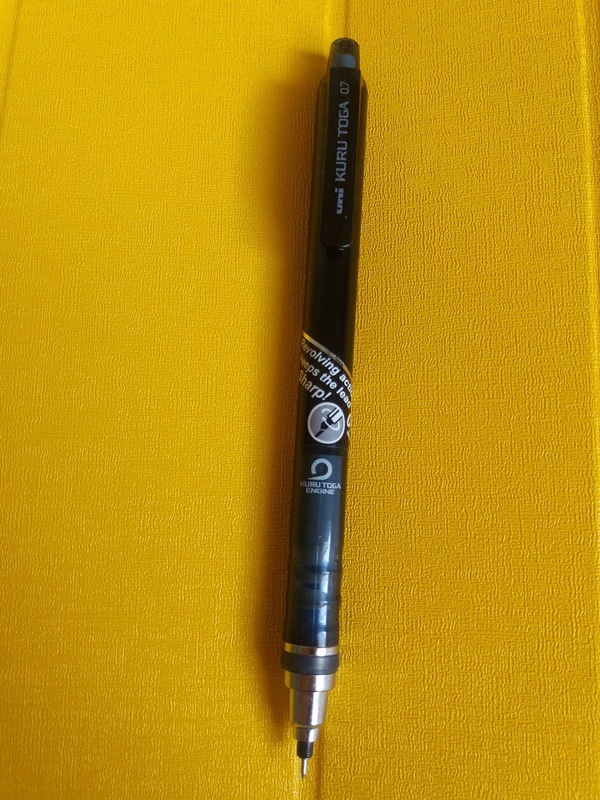 The Uni Kuru Toga, by Mitsubishi Pencil Co, is a mechanical pencil with an engine inside, according to Mitsubishi. The Kuru Toga has a mechanism inside that rotates the lead when you write. This creates an even line without the need of spinning the pencil while you write for longer periods of time. You could say it is a pencil for lazy people. I would say it's an interesting innovation in the field of mechanical pencils. 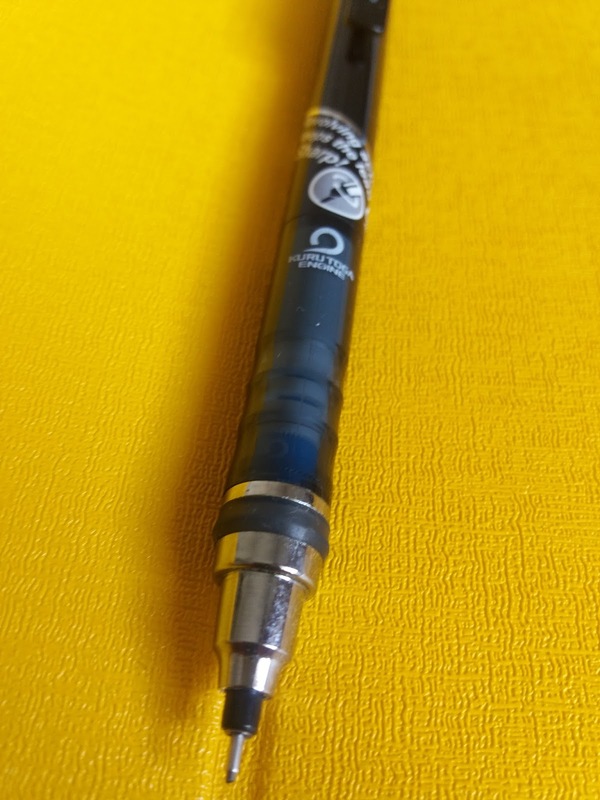 Unfortunately, the shop only had 0.5 and 0.7 mm in this dark blue color (similar in color with the uni jetstream ballpoint), with a transparent grip and a dark gray "engine". I would have liked something more contrasting and more joyful. The packaging was not something to brag about. Actually is putting the pen in a bad light. For the price of 2.21 €, the pencil came with a pack of 12 leads and another 6 inside the barrel. This is actually the starter pack in a not so nice way of presenting it. The reality was different. The mechanical pencil came with a case of HB leads, that was strapped to the pencil with tape. The package did not contain extra erasers. I guess this is the doing of the shop. The look of the pencil is interesting in my opinion. When I look at the tip and the transparent grip my mind makes me think of a Rotring roller. This is a good thing as I really like Rotring design. The barrel looks like the Uni Jetstream ballpoint. 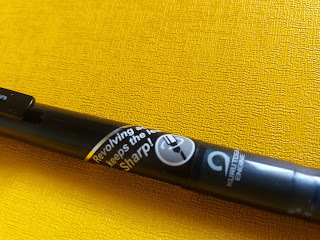 On the grip is written "kuru toga engine"
On the barrel, there is a sticker with the lead size, a picture that indicates that the lead rotates and a text that says "Revolving action keeps the lead Sharp!" The plastic from which the barrel is made does not inspire confidence in terms of durability. Under the cap, there is a small white eraser. A weird design is the part where you load the leads. If you remove the eraser you will notice that the lead tank is slimmer (at least the part just under the eraser). So you can only load one lead at a time. A benefit is if you do not have the cap and the eraser on the leads will probably stay in, as you have to shake the pencil around to take out a lead from the barrel. This feature is just weird for me. I prefer to have easy access to the lead compartment. The writing experience with the Kuru Toga is nice. The engine works for me. At first, I was skeptical as I imagine that the engine needs extra pressure to work, but it works in normal writing conditions. You can feel it working as the line remains constant without the need of rotating the pencil in hand if you write for longer, and you can see it spinning due to the transparent grip. The "engine" has a logo on it, so it is easy to see it spin. It actually spins fast, it needs around 20 pushes (touches of paper) to rotate the lead 360 degrees. The only concern, for now, is the longevity of the mechanism (and maybe the color). The grip has very small waves. It has a slippery feel to it but it sits just fine in the hand. For other people, the pencil might not work. This is because of the way the pencil is designed. What do I mean? Well .. if the lead is pushed the "engine" turns the lead 1 step. To efficiently push the lead you need to have a grip that is closer to vertical, the less step the angle is between the writing surface and the pencil the higher the force needed to put the engine to work. 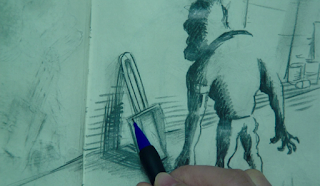 If you hold the pencil at a smaller angle you have to exert high pressure which can be impractical. I hold a writing instrument in hand the barrel of it rests on the index finger, giving a very high angle (around 70 degrees). So all of you who have "fountain pen hold" might be disappointed. In other words, your mileage might vary. Autumn colors and cold rain is perfect for arts and crafts, a DIY weekend project. Actually more like afternoon project. I found an interesting board game named Secret Hitler. It is similar to Mafia, but in this, you get playing cards and a board. The game is played with 5 up to 10 players. There are 2 teams, fascists, and liberals. The point of the game for the fascists is to get Hitler chancellor or promote 6 fascists laws. The liberals to win have to promote 5 liberal laws or kill Hitler. The pdf with the playing cards is b&w, and you do not get the full deck of cards design. All of the fascist cards are the same as well as the liberal cards. The real deal has beautiful artwork for every fascist and liberal card. To make the game I decided to get a thick paper, 300 gram (color cardboard). 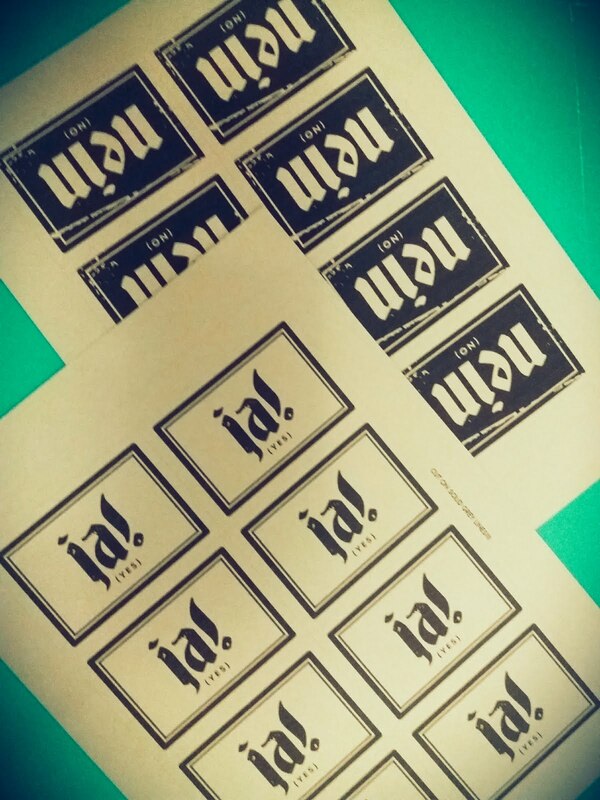 To print it I used my 10-year-old inkjet Canon printer. It needed a very slight nudge to take the thick paper in but after that, it was smooth sealing. I used color cardboard instead of plain white to give the game a bit of the original feel. 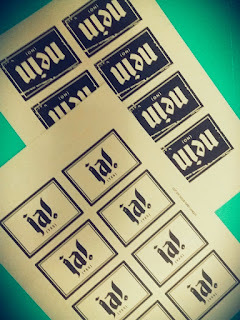 The total cost of the supplies was about 4 $, plus a few hours for printing and carefully cutting. The colors I used for the cards are: yellow for the chancellor and president cards, blue-gray for the laws, role cards and party member card, and red for the board. For some time now I am looking for a hiking, general purpose knife. 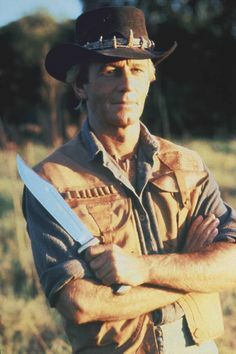 Of course, first time I started searching for one my mind went directly to Crocodile Dundee -That is not a knife, this is a knife..
but using reason I managed to pick an Opinel no 8. What I want from a hiking knife is to carry it safely (folding is a good starting point), to have a decent size blade (8 cm is good enough) for cutting food with not too much trouble, stainless steel blade because I will be using it to prepare food, a locking system so the blade doe not close on me. I found in the Opinel all of the requirements above. Of course, a folding knife is not as strong as a fixed blade, but I will not be alone with my knife in the jungle where I have to hunt to survive. So opting for a folding blade is more practical. A 30 cm blade would be great if I would hunt for bears or crocodiles. But for cutting the bread and buttering it, it makes more sense to use a smaller blade. I found a lot of fans of the brand and a lot of reviews of the knife. A lot of them say you can not beat the knife at this price point. (I paid 10 dollars for a stainless steel 8 cm blade Opinel). First, when I opened the package and got my hand on the knife I said, it's priced according to what it offers. The folding mechanism is encased in wood, and this is not a good thing in my opinion. The wood shrinks or expands and this affects the blade unfolding force needed. It can jump from hard to open it (going to break my nails and fingers) to if it's not locked the blade will just swing around. It is an old design, farmers knife. In my opinion, the company should work a little on the design. The knife didn't come very sharp. So the first thing was to sharpen the blade to an acceptable level. Second thing was putting mineral oil at in the pivoting mechanism several times and braking it in. Several days of opening and closing. At this point, i consider the knife has not too much not too little friction during blade opening/closing. Another thing that I do not like is the finish of the fishtail handle. It is too rough on the hand, so I might just sand it down and maybe reshape the back of the handle. But after a week of having this knife, I started to like it. And I like it for its simplicity the same reason I didn't like it at first. The wood handle, the simple locking system, the classic and beautiful design that survived over all these years. You do not need a high-end pencil to do some sketches, a comfortable one works just fine. It's all in the wrist finally. 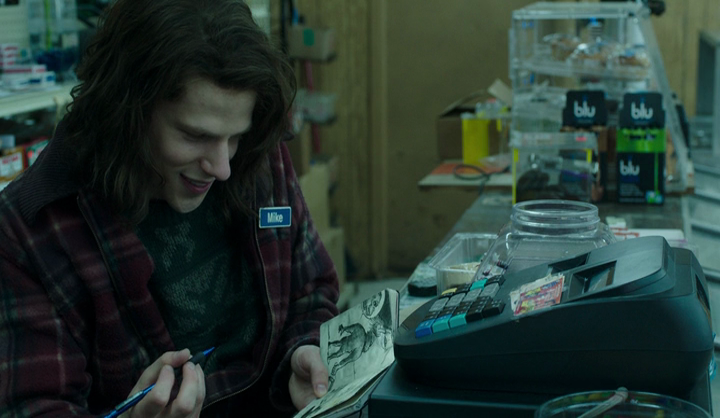 In the movie American Ultra, Mike Howell played by Jesse Eisenberg likes doodling and sketching. At some point in time, probably in the 3rd or 4th grade, I had a Bic Matic, the older version (classic by today's standards). It had a white barrel with black clip and black front part, 0.7 mm. From my memories, it was my first (or second) mechanical pencil I ever owned. 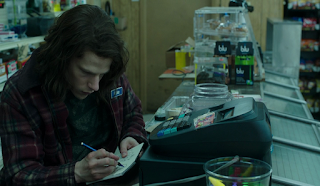 After seeing it in the movie American Ultra I am starting to get nostalgic, maybe I will get a new Bic Grip Matic. It seems Thor is a fan of Bic as well. If you want to see Bic appearance in other movies view this post as well. * reference to "Forged in fire"
Two different brands of stationary, same mechanical pencil. The mechanical pencil comes in a plastic body with 4 available colors (green metallic, blue metallic, black metallic, red metallic). It has a triangular rubber grip and a twist eraser. The clip is plastic similar to that on the Grip Matic. As the mechanical pencil is for general writing purpose you have the option of 0.7 mm lead. Also, there is a less common 1.4 mm lead size version. It has a slide back sleeve and spring lead protection, for when you push too hard on the pencil. Penac is a Japanese brand produced by the Kotobuki & Co Ltd. Chubby 10 is a large grip, "jumbo" by the producer standards. The pencil has a plastic body. You can choose between 0.7 and 0.5 lead. Available colors are blue for the 0.7 mm and black for the 0.5 mm. It has a twist eraser, PVC free the same as the Faber Castell. It features cushioned lead and a sliding sleeve, the same as the Faber Castell. The only thing that seems to differ is the clip. The grip is slightly different also, but not much. The real difference comes in price though, where the Penac is half the price of the Faber Castell. 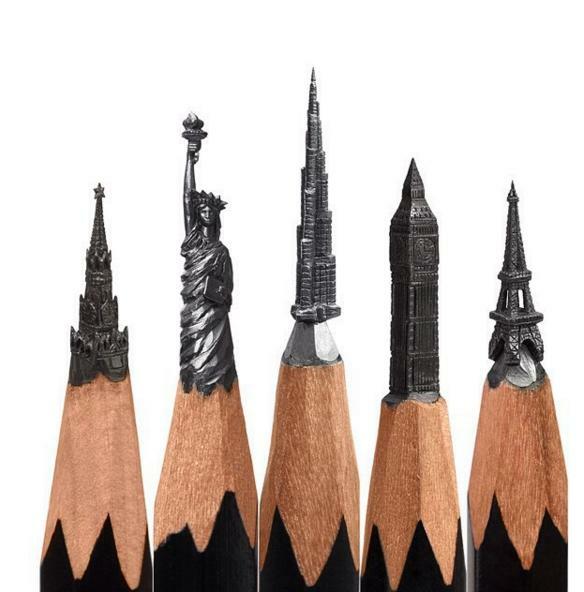 Salavat Fidai is an "experimental" artist who among others does pencil sculpture, lead sculpture to be more precise. One question, can you use them for writing? Seen on the screen comes back. Now with a pencil, Tradition 110 from Staedtler. According to Staedtler website, the Tradition is a High-quality pencil for writing, drawing, and sketching has an unbelievably break-resistant through special lead formulation and super-bonded lead. The wood is from certified, sustainably managed forests (I don't know what to say about this, we all heard about VW). Well, who knows let's give them credit until proven wrong. 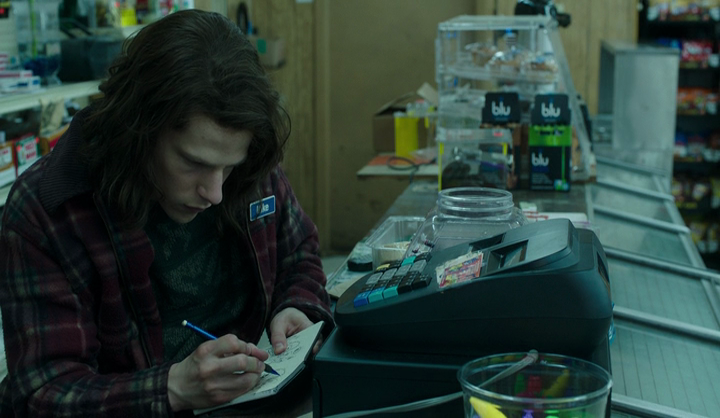 In the movie The Numbers Station (2013) a bunch of Staedtler Tradition pencils can be spotted, apparently, grade B. The movie is poor - ok-ish but I'm not going to make further comments on the movie quality. The main actors are John Cusack and Malin Akerman. Note: I want to mention if by chance you see in the rest of the post the name Tom Cusack it's the same actor John, it's just I like to call him Tom :). He looks like a Tom for me. Right in the first scenes when the two are in the bunker receiving/sending numbers the pencils can be spotted. With very good eye sight and zoom you can actually see Tradition B written on the pencil in the middle. In this first two images, John Cusack is picking up the pencil from the bunch and plays with it. Apparently, it is also good for holding your hair, not only for writing. Who knew?! Also, the movie made me aware that a number station is a real thing, not a made up bunker for John/Tom Cusack and Malin Akerman. "A numbers station is a type of shortwave radio station characterized by unusual broadcasts, reading out lists of numbers or incomprehensible coded messages. The voices are often created by speech synthesis and are transmitted in a wide variety of languages. The voices are usually female, although sometimes men's or children's voices are used. Some voices are synthesized and created by machines; however, some stations used to have live readers. Many numbers stations went off the air due to the end of the Cold War in 1989, but many still operate and some have even continued operations but changed schedules and operators." How does a number station work? A number station provides a way to communicate in plain sight, transmitting a series of characters or numbers over radio waves. Everyone can listen to the transmission but only those who have the decrypter can understand the message. The people decrypting needs a one time pad which is provided in advance. Review of Parker Urban Premium, a premium ballpoint? As the name implies this is a review of a premium writing instrument from Parker. Or is it? The review is for the Parker Urban Premium ballpoint. I can not comment on the fountain pen as I did not use it. Parker is a big brand, known for their quality writing instruments. If you do a google search you will be surprised to find out that Parker is the supplier of fountain pens for the royal house of England. This said I heave high expectations from any product with the brand Parker on it. The design of the pen. It has a interesting design, inspired i think from a bullet, or a sexual device. 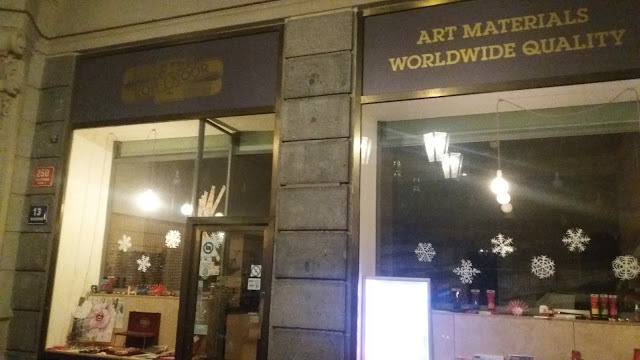 I'll leave the design for you to judge. Let's call it "urban". It is classy and modern at the same time. It's body is made entirely out of metal. The grip is a smooth shiny metal, thicker towards the middle of the pen. For my taste is a bit thick if you have high grip, as I have. I did not have problems with lack of grip, but I did not use the pen for extensive writing sessions. I use it for note taking, a few lines, a page maximum. So your millage may vary. The barrel is made from a colored metal that has groves in it. My version is a plum - brownish color, which in certain light looks like a shiny brown/black. The pen comes in various colors. The clip has the traditional Parker arrow shape. It is a nice clip as it seams very secure and strong. To advance the ballpoint you have to twist the pen. Because of my way of using pens, taking quick notes, I do not like this style of mechanism. I like push buttons on the top of the pen as it is more convenient. The pen uses a standard Parker refill. The grip is made out of polished metal. It has a substantial thickness at the top and tapers down to the tip. Because of this if you have a higher grip it can be uncomfortable if you have smaller hands. The polished metal grip is fine for me, but your experience might be different. As I said, I do not use the pen for long sessions of writing. In general the pen feels good in hand, it has a good weight to it. The ballpoint comes with a standard Parker refill size 1.0. I like the way it writes, it is very smooth and just glides over the paper. Because of the weight of the pen you do not need extra pressure to write, a founinpen grip is enough. 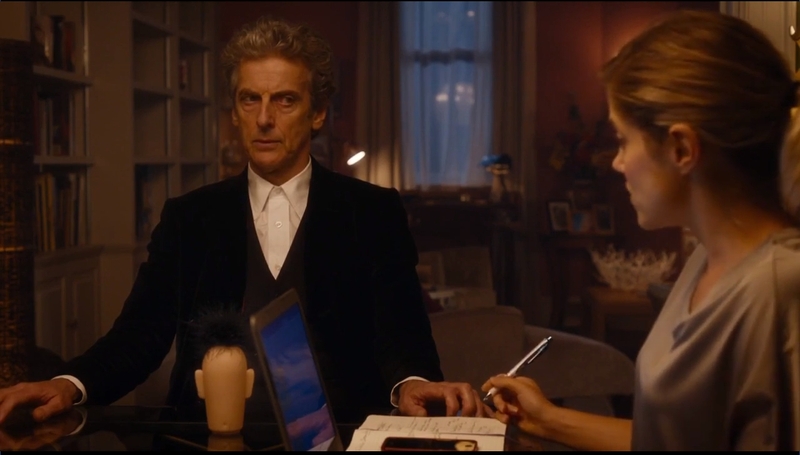 The pen looks rather well built but at a closer inspection it falls short in some places. My first complaint about the construction regards the joint between the grip and the barrel. It has a slight wiggle. If you shake the pen in your hand you can also hear the movement of the joint. I consider this a minus, not because it is something you feel when writing but is something you feel when you first touch the pen and hold it. As a expensive pen, with a body entirely made out of metal, made by a reputable and known writing instrument maker I consider this to be a short coming. In my opinion an expensive pen should look and feel expensive. But this does not feel accordingly. It feels rushed. The other thing that annoys me is the twist of the pen. The twist is not smooth as it should. The feedback is a bit scratchy and it seems off somehow. I would liked a smoother and easier twisting mechanism. Maybe with time the action will improve. The pen was 45 € which is a lot for a pen. At this price I do not think the pen is worth it, and I would not recommend it. It writes incredible I'll give it that but I think a Parker Jotter stainless steel would do it as good as the Urban. So I would say the Jotter is a better value.